Use our true caller ID to identify calls and see photos and names of unknown caller and contacts in your phone book by only clicking one icon. 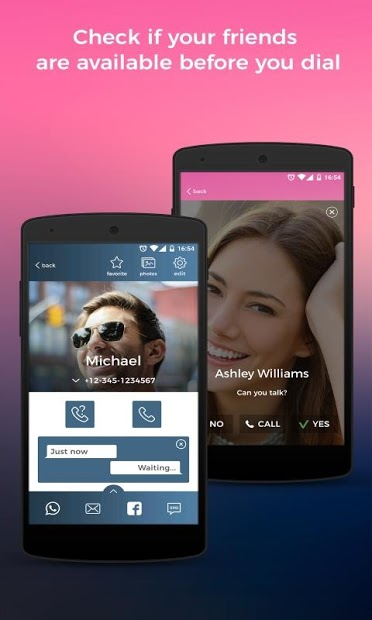 Sync with Facebook to automatically add photos to your phone dialer, contacts & address book with Eyecon. Check numbers of unknown calls with our simpler caller ID and smart dial contacts. Automatically link messaging and calling apps to connect quickly. ✓ Visual – We sync with Facebook and other social media channels to identify your contact’s true photos to create a photo based address book and dialer. See names and photos instead of numbers for unknown callers and your contacts when you are dialing or receiving calls. ✓ Ultimate personalization- Control how your image and contact information appear in your friend’s address book and in their phones when you call them. Choose from one of our 30+ themes to customize your address book with your favorite of our skin options! Change your settings to determine your dual or single SIM settings, caller ID notifications and more. ✓ Availability checker – Find out if your friends are free before you dial with our non-intrusive "can you talk" feature to allow people to either answer the phone, call you back immediately or respond that they are busy. ✓ Add contacts - After a conversation with someone who isn’t already in your phonebook, use our built in caller ID to easily add them as a new contact with a suggested name and photo without typing anything additional. 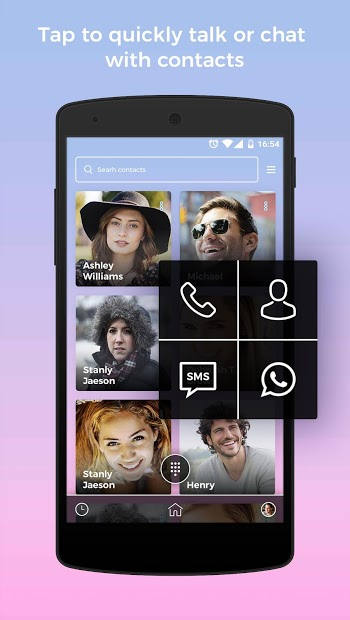 In one click, simply see & call for a better phone book and Android dialer! 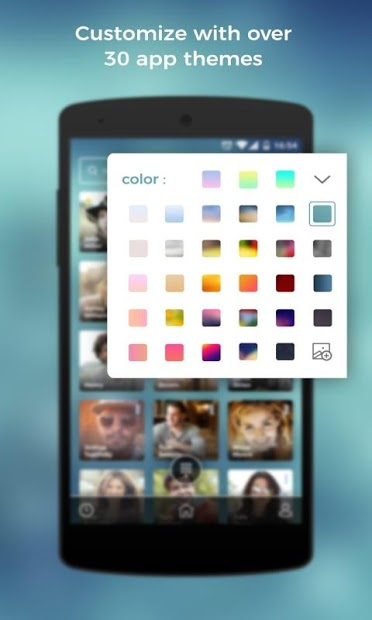 Our intuitive picture and icon phonebook will change the way you communicate to a smarter and more social experience. We support single and dual SIM phones.